Food inspectors in New York and Florida detected Salmonella in leafy greens from Satur Farms of Cutchogue, New York. This prompted the company to recall consumer and foodservice packages of baby spinach and mesclun. 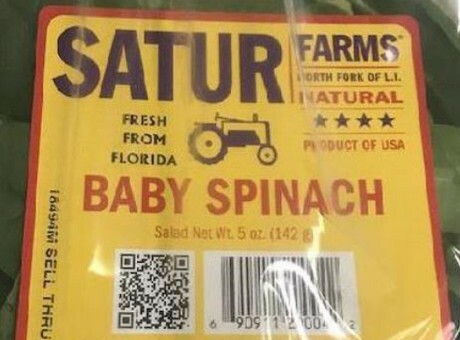 Foodsafetynews.com reports that Satur Farms officials are asking their customers to call for instructions regarding returning or destroying any remaining inventories of the recalled products.